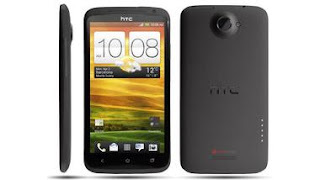 HTC is one of the leading Smartphone maker and its always in race with the other major producers like Nokia and Samsung. HTC was the phone which made Android go viral among the world. And now its also making its Smartphone better in terms of Photography. You might have already read about the 41MP Nokia Pureview-- the phone with maximum Pixels for the best photography and also Nokia is planning to have its 41MP camera in latest Nokia Lumia 920 but HTC is trying to be the best leader even in photography field by introducing its HTC one. Smartphone maker HTC is looking to breathe new life into its fortunes with its latest product. HTC One, a 4.7-inch phone with the best display in the market at 468 pixels per inch, was launched in Sydney on Thursday 21st. With this phone, HTC has taken a big step away from the megapixel race. The camera is rated at just four megapixels, but HTC says that does not matter because it has a large sensor, bigger than that in some compact cameras. This ensures high picture quality. HTC One is powered by Android Jelly Bean, running the firm’s custom skin — Sense 5. This version of Sense brings radical improvements to the phone. The most noticeable change is called Blinkfeed. Building on the features in Windows Phone and BlackBerry 10, HTC Blinkfeed lets users integrate all their social networks, calendar, email accounts and displays these with news updates. It is the default home screen on HTC One. Another feature of Sense 5 is HTC Zoe, the new gallery app. It captures a short video, letting users choose the best frame and save it as a picture. Users can also remove unwanted objects from the picture easily. Zoe can also make a short movie from your pictures and videos; it adds background music on its own. Other additions include a new music player app that adds new visualisations and pulls lyrics from the web, and Sense TV, an app that doubles as a remote. The phone will be launched in India in March.